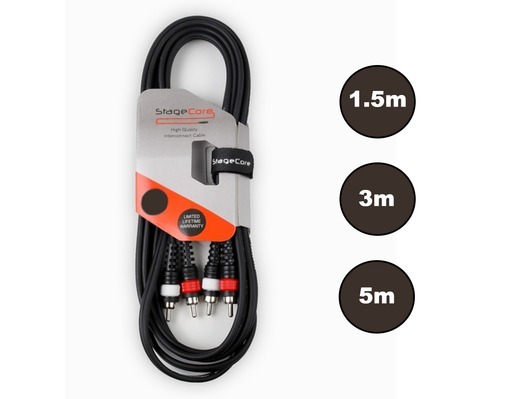 This cable is available in three lengths - 1.5m, 3m and 5m. You can choose your preference from the drop-down list. 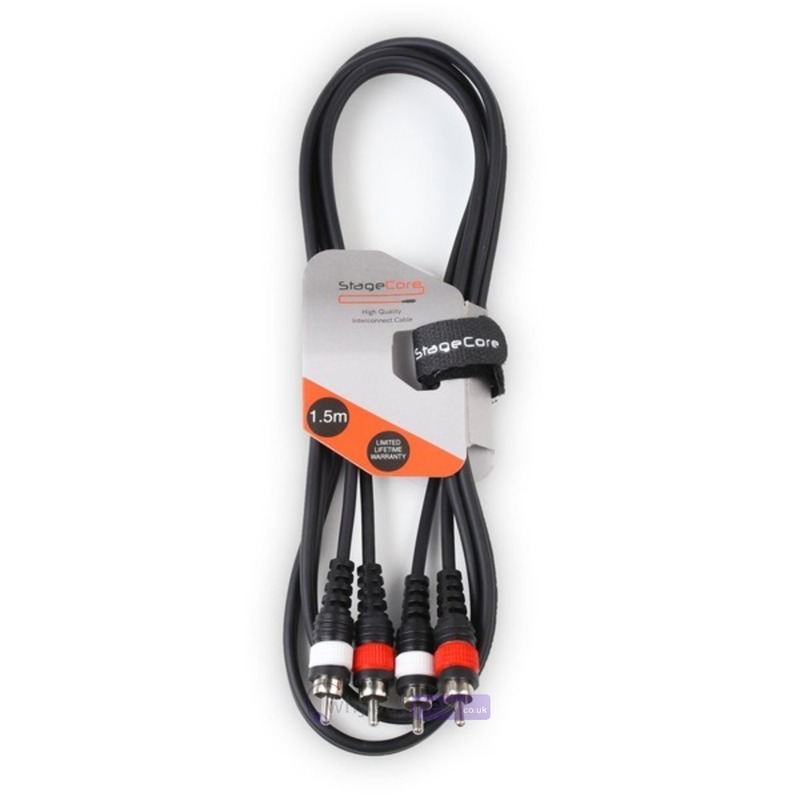 The StageCore 2 x RCA Plug - 2x RCA Professional Audio Signal Cable is a professional quality black interconnect cable featuring 2 pairs of RCA plugs. 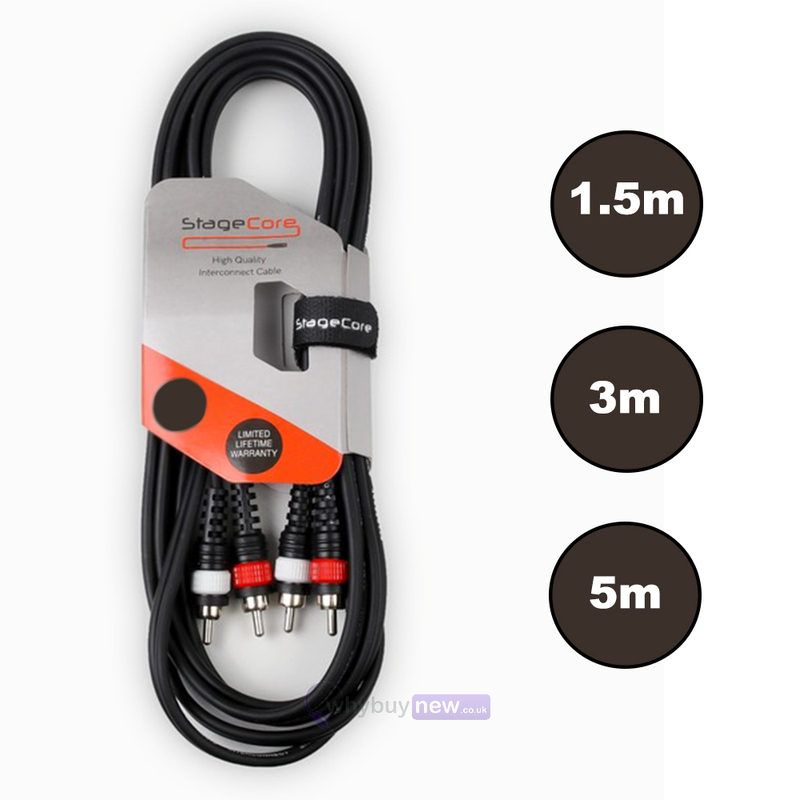 Built to last, it is ideal for use in a variety of home, studio and live applications.